Our goal is to treat our clients as we would treat our families, and to treat our patients as if they were our own pets. We realize that our clients are the heart of our practice, so we always strive to treat them with respect and consideration. We always treat our patients with compassion and kindness; we never forget the importance of the bond between an owner and his or her pet. Putnam Veterinary Clinic services Canine, Feline, Avian and Exotic patients. See our full list here. Dr. Wendy Emerson spent eight years as an associate veterinarian in the North Shore area before starting her own small animal house call practice in 1993. 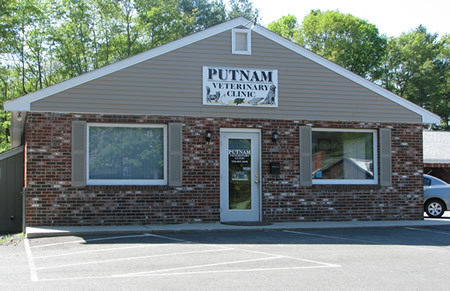 In 2001 the mobile practice was incorporated into the full service Putnam Veterinary Clinic, which opened in its current form at Parson's Corner in Topsfield. The name of the clinic is an acknowledgement of Dr. Emerson's family heritage, as she is a direct descendant of the famous Revolutionary War General, Israel Putnam. Her family founded and continues to run the world famous Putnam Pantry Candies and Ice Cream in Danvers, home of the original "ice cream smorgasboard". Our modern facility allows us to see appointments and perform surgery on a daily basis, however we continue to offer house calls to our clients once a month, or by appointment. 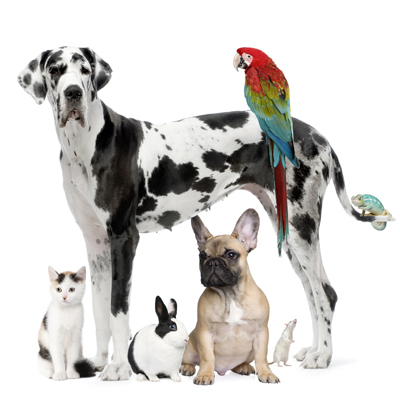 What also sets us apart from other veterinary clinics is that while we love our dog and cat patients, the Doctors at Putnam Veterinary Clinic also have extensive experience in treating avian and exotic pets! We see birds, rabbits, rodents, reptiles, ferrets, and other exotic pets for routine and urgent medical care. Please call our office at (978) 887-3836 for all your pet health care needs.